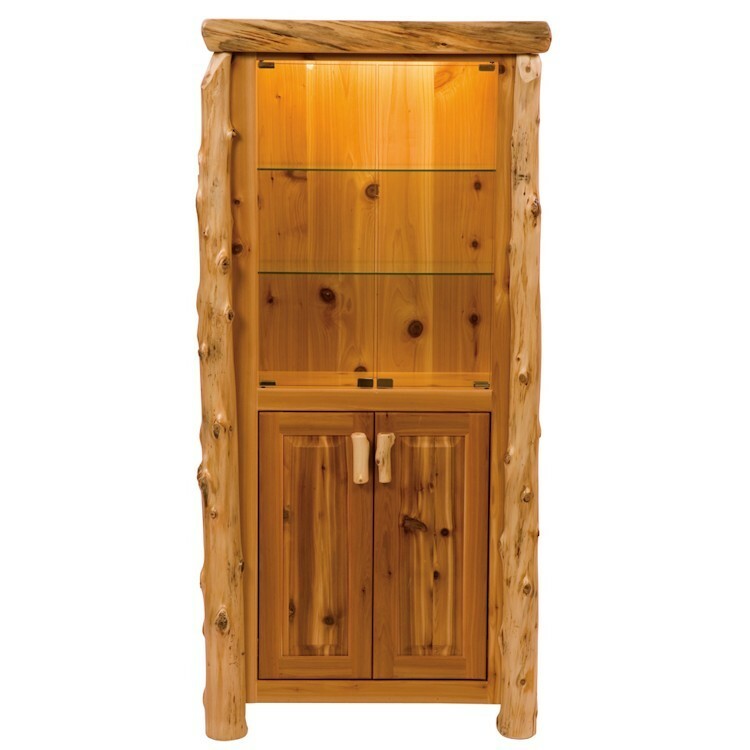 This traditional rustic log display cabinet is hand crafted and made of hand peeled white cedar logs giving it a natural character and beauty to complement your log home decor. This traditional rustic Log Display Cabinet is hand crafted and made of hand peeled white cedar logs giving it a natural character and beauty to complement your log home decor. 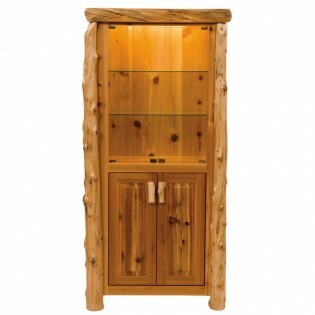 It has a lighted upper cabinet with glass doors and non slamming hinges and on the bottom there are wood doors with European hinges and wood handles adding to the rustic style of this cabinet. It is clear coated with a catalyzed lacquer finish for extra durability.